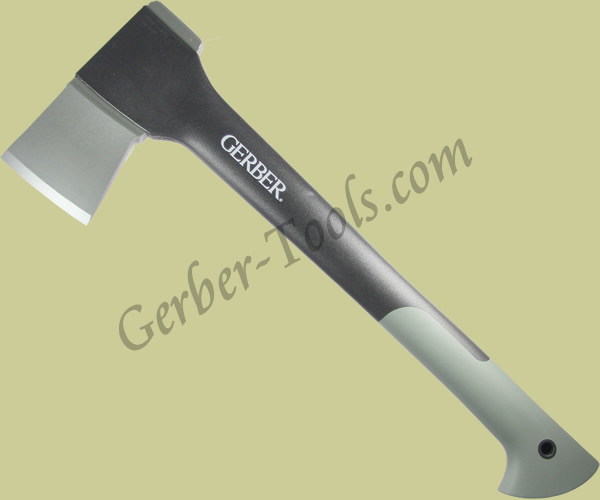 The head of the Gerber Camp Axe II model 31-000914 is forged stainless steel with superior edge retention that will make you sit up and take notice. The glass filled nylon handle is virtually indestructible. The weight of the Camp Axe II is a little over 2 pounds and the overall length is 17.32 inches, which lets you get a pretty good swing without carrying something around that is too bulky for your pack. It comes with a formed plastic sheath for safe transport and storage. This item is being replaced by the new and improved Gerber Freescape- so if you want to order this above item, please click on this link and check out with the newer model of this item- which is the Freescape 31-002536- the same but with new green color handle.